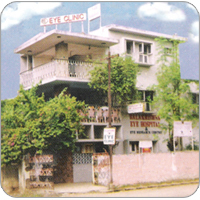 Balakrishna Eye hospital was started in 1994. A decade of excellence has promoted this centre in south Chennai to an advanced tertiary referral centre attracting patients from all over India. It is a 20 bedded hospital having single rooms, double rooms, deluxe rooms, AC rooms, non AC rooms, general ward, well equipped operation theaters and an auditorium. It is working in two buildings having 10000 Sq.Ft totally. Well qualified and well trained doctors, optometrists, nurses and other paramedicals are always ready 365 days in an year for service. Outstanding surgical result, quick visual recovery, service with smile and total patient satisfaction are the qualities of our hospital. 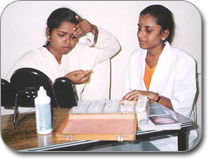 BalaKrishna's mission is to “reduce needless blindness” within the above spiritual and ethical framework. The hospital is founded on this principle service to God and man, and continues to be guided by it. As an eye hospital, we constantly challenge ourselves to go beyond the realm of moral or ethical practice of medicine and bring in values of holistic and humanistic approaches in providing eye health as a means of reducing human suffering. We believe the patient has the right to expect that these needs will be coordinated in an atmosphere, which supports quality, interdisciplinary respect, and professionalism. Here are some details about each procedure and patient guidelines. Why is Eye examination important? 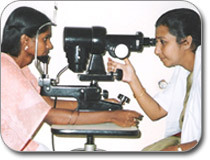 Regardless of your age or physical health, it is important for everyone to have regular eye checkup. During a complete eye exam, your eye doctor will not only determine your prescription for glasses, but will also check your eyes for common eye diseases and evaluate your eyes as an indicator of your overall health. Our distinguished team brings passion for equity and community change and expertise in developing strategies, best practices. Our diverse staff contribute unique talent, insight and perspective from backgrounds ranging from academia, social work, nutrition and technical assistance. We believe that our staff are the most integral part in the development. This is why we go to great lengths to find the best staff around. We are quite selective in our search process and hold high standards for our employees. It is the staff we hire that will be on the frontlines each day interacting with the world.